Available 24/7 Call us today! 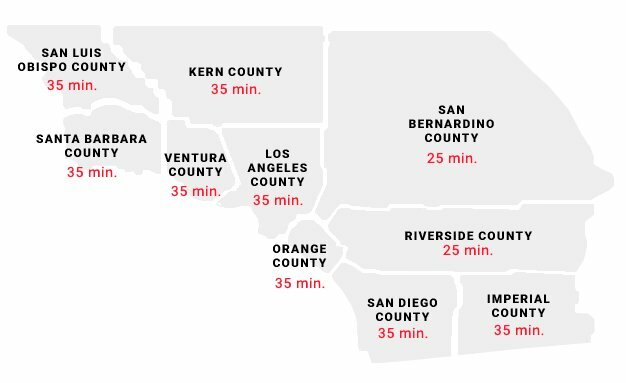 FASTEST RESPONSE TIMES IN LOS ANGELES! When you need a plumber in Santa Monica, call on RooterEX, day or night. Our full-service plumbing company provides effective, long-term solutions for your clogged, backed-up, slow-moving, and/or blocked pipes and drains. Whether it’s a quick job with a power auger or an extensive sewer pipe replacement project, our team has the skills, experience and know-how to get the job done. Smelly pipes, backed up drains, overflowing toilets, and slow-moving water are more than annoying irritants. They’re a sign that something isn’t working right in your pipes, drains or sewer lines. Our technicians are trained to root out the problem with our thorough rooter services. Our large team of expert technicians have seen everything the Westside of Los Angeles can throw at it, which means fast, efficient service with all workmanship guaranteed. Commercial & Residential plumbing services that fix it fast and fix it right – so that you can get on with life, and business! Whether your water’s cold, tepid, or too hot, we can help you fix your water heater issue – from repair to replacement. Don’t suffer a single extra cold shower. Our skilled technicians can be out there in almost no time. If replacement is your best option, we have you covered. RooterEX is a full-service plumbing company. Whatever you need, we deliver. We provide plumbing fixture supplies and repairs of your existing plumbing. We also install new appliances, copper piping, water supply lines, and more. When you have a plumbing emergency, you want immediate service. That’s what we provide at RooterEX. We dispatch our plumbing professionals to your Malibu home or business, fast. And our skilled, trained, and licensed pros are always efficient. We fix your problem, 24/7. We cover all your drain and sewage plumbing requirements. Whether you have a clogged drain in your kitchen or bathroom, or backed up sewage, we can help. Murky drinking water, an iffy water supply, or other drainage issues? We’re there. Our rooter service is quick, but thorough. We’re good, we’re fast, and we’re professional. RooterEX are certainly very fast. I had the option of service within the hour, even though it wasn’t a serious emergency. Ken who came out was quite informative. Leaking elbow under bathroom sink was fixed within about an hour. We will definitely use them if needed in the future. I purchased a Bosch tankless water heater (Greentherm C950) with the intention of trying to install it myself. 2 hours in I realized that I have no idea what I’m doing, and called RooterEx. They had someone on my doorstep in about 50 minutes flat – impressive speed. He knocked the job out in no time, no issues. 5 stars! RooterEx is like the FedEx of plumbing – very fast, efficient and professional. My wife called them when our hot water went out – I was stuck at work and still a few hours away from getting home. They not only beat me there, they were finished with the job too. Highly recommend.